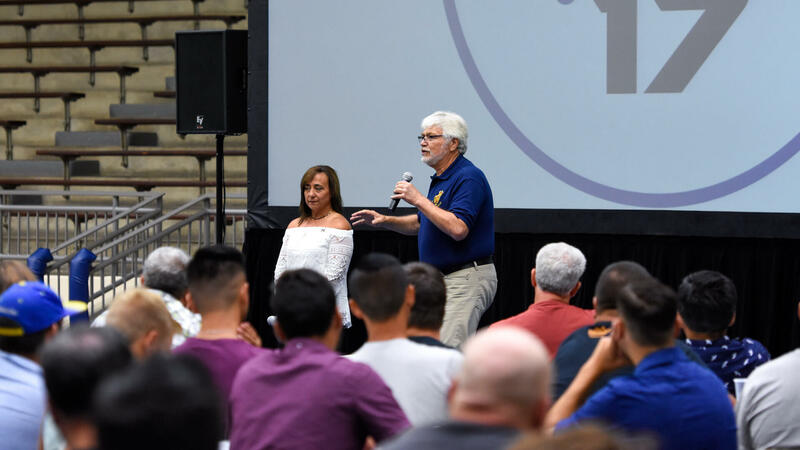 More than 250 corps staff members attended the third-annual Mid-Summer DCI Instructors Summit on Sunday, July 23, the day following the annual DCI Southwestern Championship at the Alamodome in San Antonio. 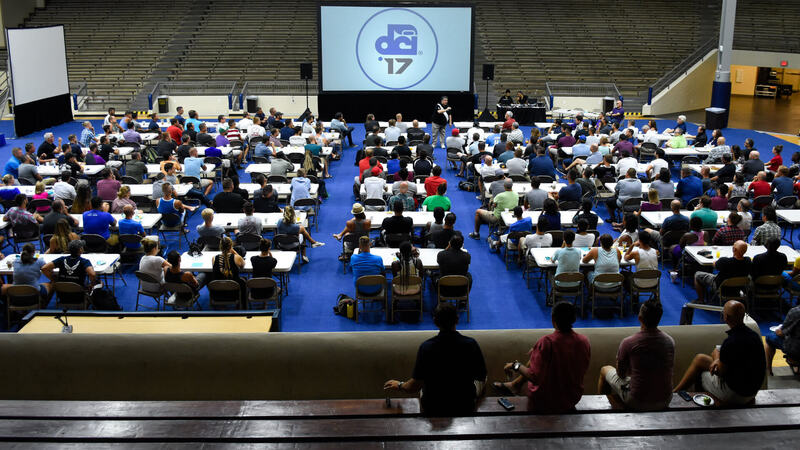 Gathering at the Alamo Convocation Center on Sunday morning, attendees had the opportunity to listen to several speakers discuss the evolution of the marching activity and collaborate on how to sustain the upward trend of creativity in DCI for years to come. According to DCI judge administrator John Phillips, who served as emcee of the event, this now annual gathering came about as a way to bring corps staff members together while they're out on the road in the heat of the competitive season. Panelists at the meeting included DCI Executive Director and CEO Dan Acheson, DCI Artistic Director Michael Cesario and special guests Joan Noble-Pruett and Frank Dorritie. The four used their respective talking points to reflect on the performances they saw the night before at the Alamodome and highlight how far the drum corps activity has come. Acheson opened the seminar by thanking the corps staff members in attendance. He added that the success of Drum Corps International couldn't happen without those who guide corps members and foster inclusive, meaningful experiences for thousands of talented individuals year-over-year. DCI Hall of Famer Michael Cesario used his segment to make a rousing call to all the corps staffers and caption heads, reminding them to stay engaged and push through to the end of the season. 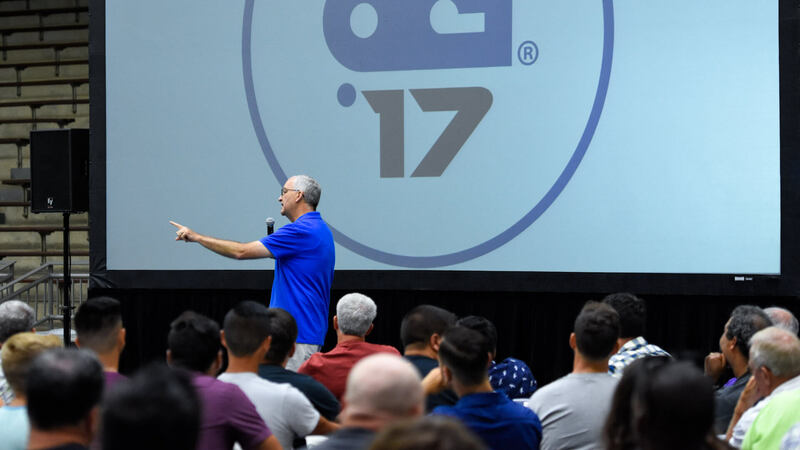 As someone who has helped construct some of the most colorful and daring shows in DCI history, he emphasized to the corps staff that they should refrain from constructing programs for their own personal glory and corps reputation, and instead create shows that mean something for everyone. Regarding leadership tips, he also challenged the staff to one request. DCI judge administrator John Phillips next introduced the two guest speakers, who with their respective pedigrees in the marching arts, gave professional feedback on this season's programs to the corps staff. One of the special guests, Joan Noble-Pruett, is a seasoned veteran in the arts — specifically in dance and color guard. In the drum corps arena she has instructed a laundry list of drum corps the likes of the Guardsmen, 27th Lancers, Star of Indiana and Spirit of Atlanta. She currently works with the University of Michigan Marching Band and as an assistant coach of the Michigan Dance Team. Noble-Pruett said she has been completely impressed with all the shows she got to see the night before, and that the technical work in visual training has changed massively over the years. After a short intermission, all in attendance came back together as Pruett and Dorritie shared personal anecdotes and how they related to the evolution drum corps. Those stories segued into helpful advice for corps staff and instructors on how to continue guiding hundreds of talented corps members and how to keep the activity thriving for decades ahead.